We offer Australia’s best Hosted Virtual Desktop solution to organisations from all over Australia. We can help you achieve what you need to achieve for your business. Hosted Virtual Desktops provide a way for customers to run desktop applications and store associated data in the cloud. By using applications and data in the cloud, organisations are free from geographical constraints associated with operating a business, such as opening new offices, gaining a national or even international presence, and work from home/workforce mobility. 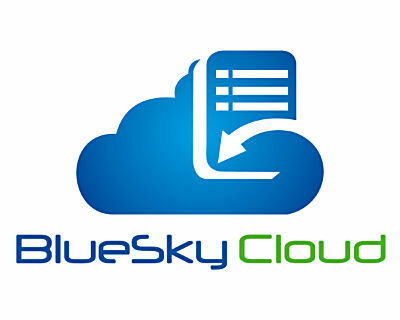 The BlueSky Cloud Hosted Virtual Desktop service represents the best cloud technology available. The ability for organisations to seamlessly and simultaneously operate across multiple active datacentres (PoPs) across Australia provides an always-on service, backed by comprehensive and robust service level guarantees. What this means to you is that your data and applications are secure and always available wherever you are, on whatever device you’re using. Investigate below to see find out more about the service. What you do remains the same. Run the same applications as you do now, and operate on the same data as if they were installed on the local PC. Access your applications securely from anywhere in the world, and from any device – Windows, Apple Mac, smartphone, tablet, etc. BlueSky Cloud customers consistently state that they don’t know how they managed to operate efficiently prior to using the BlueSky Cloud hosted virtual desktop. Benefit from enterprise grade infrastructure with guaranteed service levels, providing an IT operating environment far more robust than your current environment. We believe this is essential, because when we say we guarantee a level of service, we mean it. Hosted Virtual Desktops provide a far greater degree of data security, reliability, and availability than servers and data hosted on premise. BlueSky Cloud is a fully resilient, self-healing cloud solution with no single points of failure. This means that when disaster strikes, you can carry out your business continuity plan in the shortest possible time frame. The combination of applications an organisation uses to create and manipulate data is unique and fundamental to the way it conducts business. Recognising this, BlueSky Cloud has been built from the ground up to ensure it provides the flexibility to host the broadest range of applications available in the corporate landscape. BlueSky Cloud Hosted Virtual Desktops give users a consistent experience across all devices from any location. Whether at the office, home, hotel room, even your customer’s premises, you access exactly the same desktop and when you switch from one device to another you pick up exactly where you left off. Security remains one of the prime concerns for all organisations that contemplate a move to the cloud. BlueSky Cloud provides customers with enterprise grade security across the four key areas of physical security, security of data at rest, security of data in transit, and prevention of malicious and unauthorised access to the system. Customer data on the BlueSky Cloud platform will never reside anywhere but Australia. This full data sovereignty means that customer data will always be fully protected by Australian laws. Not only that, since no third party is involved in storing the data, no unauthorised access can occur (this is not the case with some other providers). minimise lost productivity from unplanned down time. While cost should not be the only deciding factor in choosing a cloud service, it will always be a major factor. BlueSky Cloud are fully qualified to perform a comprehensive cost analysis to ensure you get the full picture of the benefits to your bottom line.